Ideal Heights Properties Sdn. Bhd. (IHPSB) began operation in December 1985 by successfully undertaking an ambitious multi-million ringgit township project now known as Bukit Idaman, comprising more than 2000 units of apartments, terrace houses, shophouses and condominiums developed amidst a backdrop of carefully preserved rain forest and painstakingly nurtured greenery. Bina Puri Properties Sdn. Bhd. is a subsidiary involved in the property development and has completed the Jesselton Condominium in Kota Kinabalu, Sabah in 2009. 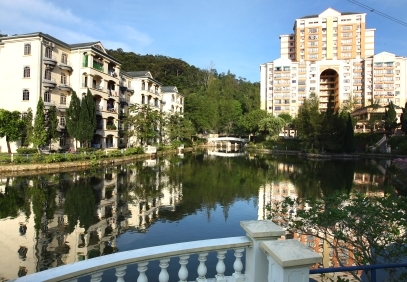 The 15-Storey high-end Jesselton Condominium stands on a firm hillock, overlooking the plains of Kota Kinabalu and offers both views of the Teluk Likas Bay as well as the mountain ranges to the North East direction. The company also completed the Taman Malawa in Sepangar Bay, Kota Kinabalu, Sabah. Phase 1 comprised of 86 units of 2-Storey Terrace Houses and Phase 2 comprised of 96 units Walk-Up Apartments. The upcoming property development include The Puri Tower in Puchong, Selangor, The Jesselton View and The One Jesselton Condominiums in Kota Kinabalu, Sabah and The Ocean View Residence in Miri, Sarawak. 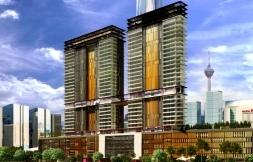 The Group is also undertaking several property development projects including the Petrie Villa in Johor Bahru which comprises of 23 units of 4-storey Pool Villas and 1 unit of Club House on Jalan Tengku Petrie; The Main Place Residence in USJ21 Subang Jaya comprising 33-storey Serviced Apartment and 3-storey Retail Podium; The Laman Villa, Mon't Kiara North comprises of 22 units 3 & 3 1/2 storey Link Villas and 8 units of Condominiums; and The Opus at Jalan Tallala, Kuala Lumpur comprising 2 Blocks of 36-storey Serviced Apartment with 458 units.